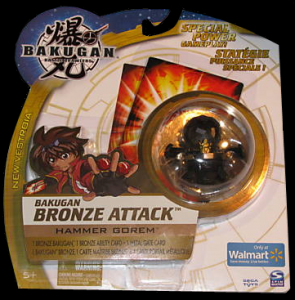 Bronze Attack Bakugan are a Walmart Exclusives and are sold individually like special attacks. 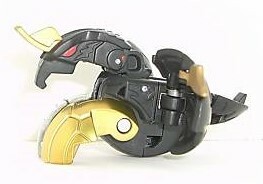 Currently there are just 8 different ones available. 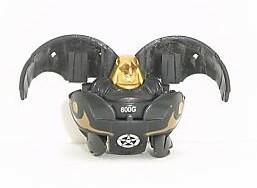 These include Fourtress, Wilda, Storm Skyress, Preyas Diablo, Dragonoid, Neo Dragonoid, Hammer Gorem, and Ravenoid. Each One comes with a Gate card from the "Q" Series and a Special ability card from the 1/6 BR series. 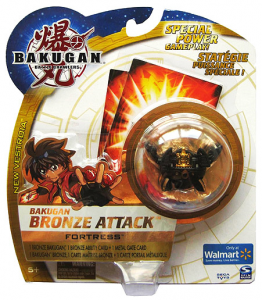 These ability cards are specifically for use with bronze Bakugan and are very powerful. 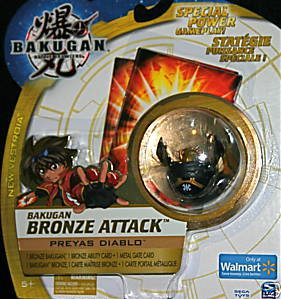 Ive seen crazy bakugan on ebay thier cool just go to ebay check this place out too every now and then. hey mikey if you say theres an ingram where can i find it?cause i really want ingram. 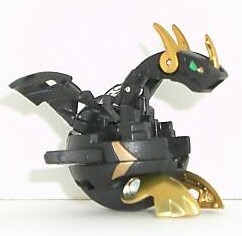 I have two bronze bakugan which are storm skyress and hammer gorem. 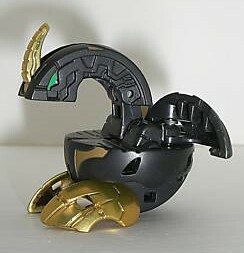 I like to see more of these bronze versions soon. They are so much fun.